I gotta admit, having a troll as your best friend would be pretty bangin'. Stuck in traffic? Just have it chuck a few cars out of the way. Want a bigger house? Just show it where the lumber is. Getting sent to jail for mass embezzlement? Just pay its way through law school and have it graduate in time to represent you in court. Did you watch 'til the end? If so, you may have noticed that, after the March 21st release date was reiterated for all those boring, old consoles, the words "Coming Soon" hovered over none other than the box art for the Nintendo Switch! Move over, Zelda, there's about to be Scandinavian mythology all up in this piece. Troll and I's asymmetrical co-op has the potential to be quite a bit of fun if pulled off properly. 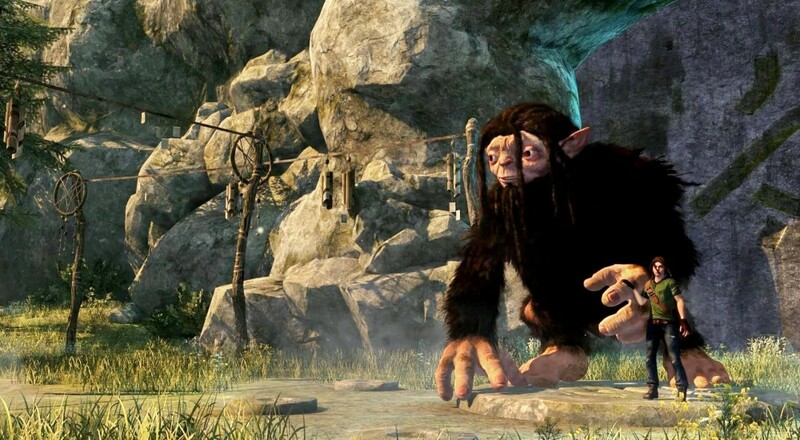 Who'll be controlling the troll in your co-op setup? Let us know in the comments! Page created in 0.8709 seconds.